The next generation of gaming is here, the Toshiba Shibasphere. The Shibasphere is a revolutionary innovation that has packed a lot into every spherical inch. This is one of the most immersive game console ever released. 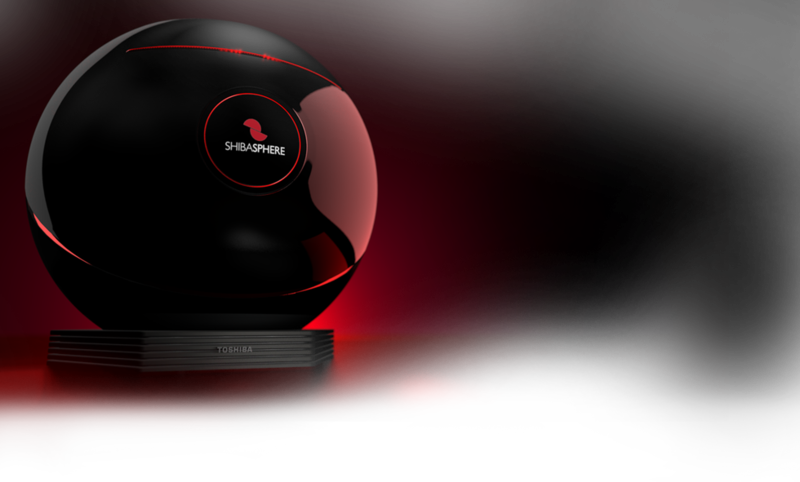 The Shibasphere has 809.3b infrared motion capture that captures your every move in high resolution, putting you into the game. The Shibasphere has a 12 core 3.5GHz Processor, a graphics card with 4GB of GDDR5 RAM, 1080p Full HD, and 7.1 Channel audio. It is also decked out with component output, DVI, Optical audio, 5 HDMI, and Coaxial input. Optional accessories include the Shibadome, Shibasuit, and Shibatote and features immersive games such as "Pet the Dog", "Contract Negotiations", and "Let's Travel". Get your Toshiba Shibasphere! Happy April Fools' from Toshiba!